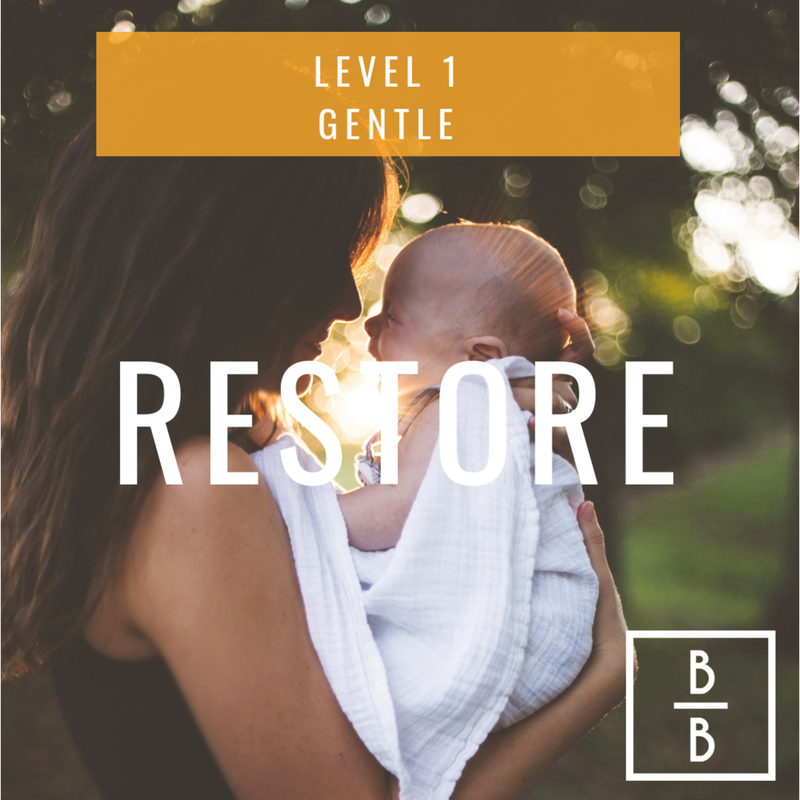 Restore is the first program new moms should take. It is designed for moms a minimum of 6 weeks postpartum. You already know that birth takes a major toll on your body. Generally speaking, this is not the time to put on those cute running shoes and hit the trails again for a slow 5 miler. There are some things that need to be restored to their pre-baby functionality. If you go too fast you risk injuring yourself. If you go too slow, you’ll feel sluggish when you need to be chasing a crawling toddler all over the home. This program was designed to restore your mombody core. Not too fast, and not too slow. Before you begin, be sure to check out the comprehensive starter guide here.